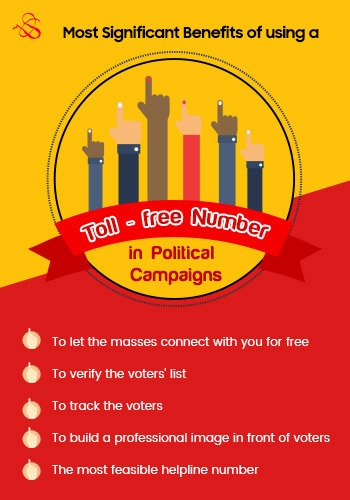 Toll-Free Number provides supporters an easy to connect with their favorite political candidate or using toll-free service you can run the campaigns on which callers can suggest anything on that number without paying a single penny for the calls. As the number is free from the caller’s end, they will connect as long as they share all their suggestions with the candidates. You might have the list of voters that you will be targeting in this Election season. You can strategize to check how genuine the list is by using a toll-free number. Once you have sorted the list, then you can send promotional messages and call to the right people. Tracing the location of the voters can help you to figure out the areas in which you have to put in more efforts for promotions. 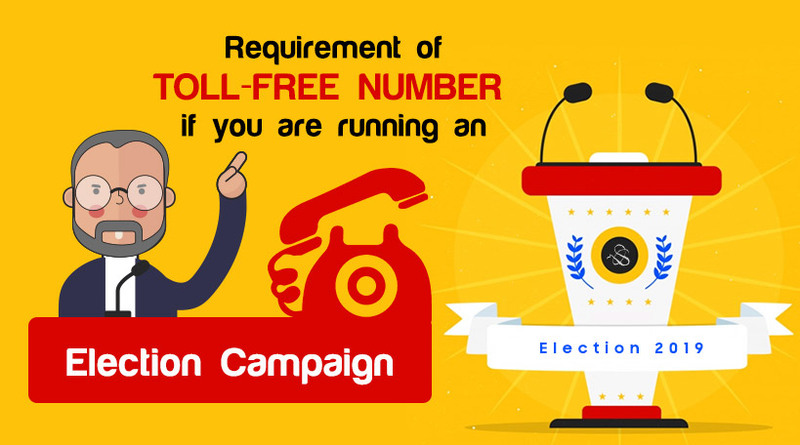 When the voters will give a call on the toll-free number provided by you, their location gets traced by the system. Providing a toll-free number for various purposes to voters directly helps in building a professional image of your in front of them. They are more likely to keep you in consideration while voting due to the authentic image of yours on which they can rely. It happens a lot of times when voters want to demand, give suggestions or share their views with any political party. The most convenient way for them to reach you out is via a phone call. And there could be no better way to connect with you that a toll-free number which gives the provision of no-cost calling. These were the most significant benefits of using a toll-free number in political campaigns. You can discover more of them once you start using this service. It is a must-have service for election campaign promotions. So without giving a second thought, go ahead and get a toll free number immediately and enjoy the above-mentioned benefits!